We live in the world when even the out of season food seems to be available 24/7. Instead of eating foods ‘in season’, like our ancestors, when the produce is at its most nutritious, we seem to be consuming food irrespective of its nutritional content. Another noticeable trend is that many of us eat more or less the same things day in, day out, call it the comfort zone or the sense of habit. 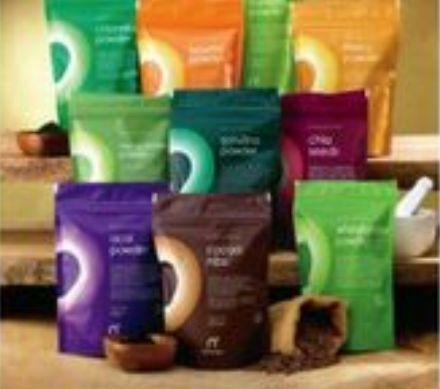 My latest discovery-Naturya nutrient-rich power foods-have certainly helped to introduce more variety to my daily dietary staple (not that yours truly ever believed in dieting) and the fact that each one comes from a different country or region, where that food is celebrated and appreciated, will certainly help you get back on a nutritional track. Naturya is a brand that was founded by two friends in 2009. Their office is based in Dartmoor’s rolling heathland and each of their products is packed in the purpose-built and Soil Association approved unit in Wales (the brand has Soil Association certification as well). The idea behind the brand is to allow you to experience the world’s most popular superfoods ( every single ingredient product is designed to enhance your diet) in the privacy of your own home. Each product is nutrient rich, additive free and I can vouch for the three that I have tried-Lucuma Powder, Hemp Protein Powder and Cocoa Nibs-to taste delicious as well. Martin Kemp and Chris Efstratiou, Naturya founders, believe that ‘simplicity is a pathway top health and longevity’ and that approach starts with the brightly coloured packaging that easily catches your eye on the shops shelves-I recently had a field day at Planet Organic exploring their products and finally stocking up on Cocoa Nibs that have been eluding me-but you can also find out detailed information on each product on the brand’s website. Why the name Naturya? Well, according to Chris and Martin, it ‘directly and intentionally references nature, which is a nod to our collection of natural products’. us’. They also have a very accessible price point, with the starting price of £8.99. To be honest I don’t believe that a good supplement should cost you lots of money, after all good nutrition should be every person’s right and not the luxury for select few. –Lucuma Powder: it’s interesting how every year we seem to hear about the new superfood or superberry, yet if you go to the country of its origin, people tend to smile knowingly and say that this superfood has been known to them for years. Lucuma, which is harvested from the evergreen trees in Peruvian highlands, is the fruit that is rich in fibre, minerals and carbohydrates. I have tried Lucuma ice-cream when I was in Peru many years ago and it was lovely and sweet but not overwhelmingly so. Now I enjoy adding this powder to my smoothie recipies (instead of coconut sugar or dates, which have a much higher sugar content) or in baking. My favourite smoothie at the moment is made from a glass of oat milk, heaped teaspoon of Lucuma Powder, 1 tsp of chia seeds, half a banana, whole avocado and a scoop of TerraNova Life Drink Powder. Lucuma fruit actually tastes a little bit like dates with a dash of the caramel undertone and adds the lovely, understated sweetness to a cakes, brownie or cupcakes and you wouldn’t get a crazy sugar rush from it. Another idea of mine is to spoon it over the freshly baked apple pie instead of cinnamon, with a dash of nutmeg. In Peru they sometimes actually spoon the powder over ice-cream. –Cocoa Nibs: they are coarsely ground from prime Peruvian cocoa beans, then sun-dried and gently fermented in order to release the richly concentrated chocolate flavour. Cocoa beans are full of antioxidants and even a cardiologist will tell you that a couple of squares of dark, good quality chocolate is very good for you and your health. Naturya’s raw nibs-they taste like a crunchy full-flavoured dark chocolate-can be eaten on their own (I am now known to snack on a few when I feel an energy slump in the middle of the day or in the evening when catching up on a favourite TV series or DVD, instead of let’s say ice-cream or cake. A little does go a long way and it doesn’t make you pile on weight-an additional bonus). You can try adding it to an oat cake with peanut butter and sliced green apple, to give this delicious treat a nice twist or use it in baking, adding it to your smoothie or morning musli or granola. –Hemp Protein Powder: until I tried this powder when the word hemp was mentioned I predominately thought of cloth from which you can make bags. Indeed, hemp is one of nature’s most versatile plants, with a seed that is a source of protein, minerals and Omega 3. It has been harvested for thousands of years but this particular one is cold-pressed and gently milled, with the resulting fine powder easily blending into smoothies, added to juices or sprinkled over granola. You can also bake with it, adding it to banana bread or savoury cupcakes. Hemp has a slightly nutty taste so you can try adding it to avocado, seared tuna and wholemeal bread sandwich-I sprinkle half a tsp and then drizzle with extra virgin olive oil, sea salt and black pepper. Ultimately you are adding new nutrients to your diet and giving yourself a chance to experiment in the kitchen. Naturya has some lovely recipes on their website devised by nutritionist Joy Skipper and raw foodist Kate Magic. They have also been collaborating with Hemsley & Hemsley sisters, adored by team Vogue and you can try their latest recipe for Autumn Raw Squash Smoothie (other Hemsley & Hemsley recipes can be found on their website (http://www.hemsleyandhemsley.com/recipes/ some of which feature Naturya superfoods). Liz Earle is also a fan of Naturya products and has a lovely recipe page on her new website, as well as nutritional therapist Eve Kalinik who posts recipies for Harpers and on Instagram here. You might also want to try a delicious Lucuma & Cashew ice-cream recipe devised by the lovely Samantha Hadadi. As for the brand’s future plans, the team is very close to introducing three new products and intends to keep adding to Naturya range in 2014 and beyond!